There was no movement involved in this picture, and there is no reason for the mist shown in the picture. Holy crap....wtf. thats some scary stuff. 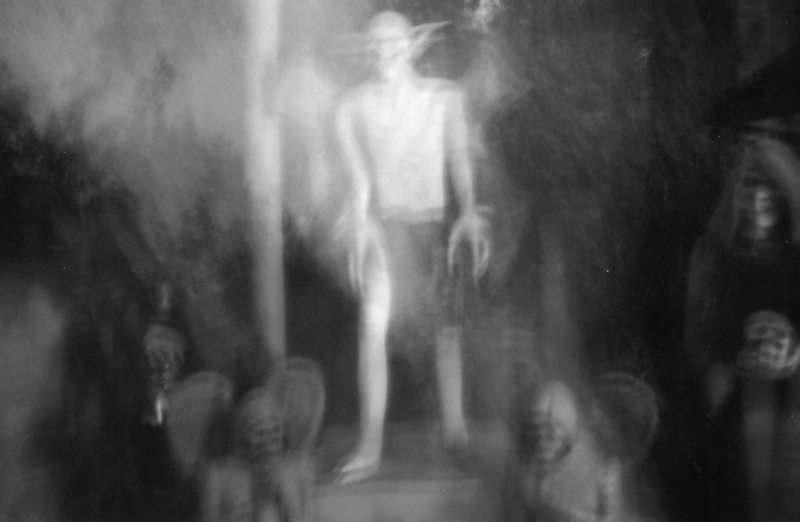 I saw a picture like this in some ghost book. But it had some chick and a dude getting married. Not some awsome creature and two death angels!!!!!! !